How are you? I hope all of you are fine. I’m also fine for your blessings. 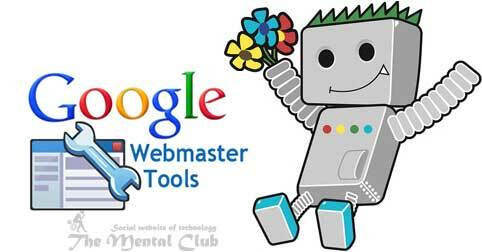 Today I will share with you about “Google Webmaster tools”. Suppose you need to submit a site in Google today. But what you will do generally Google doesn’t index page quickly except very famous site. So what? You can submit your valuable site in Google within 10-20 minutes if you see techniques in the following. We know Google is such a strong search engine so if you don’t submit though its index from itself many times. Here I will tell you about processes No. 2, “From any famous site”. Many people know that if the address of your website stays from any famous site, then Google will try to do that. But when Google wonders this Website then that wants to index other active link also. Google does this process when there are always minimum more of 200 visitors in any website and whose page rank is good. Google index every moment all these pages. Especially when any new subject or content is added, Google index that within only 10-20 minutes. You have to use this chance at work. There are how many important works for search engine optimization of your site, the most important is in it submitting your site in Google webmaster tool. Most of the reader of us want many tips of SEO from us and want to know also how to increase site’s visitor. In case of this Google webmaster can help in many ways. We will show you in today’s post how to submit your site in webmaster tool. Previous Article: What is a keyword? The tutorial of researching keyword. 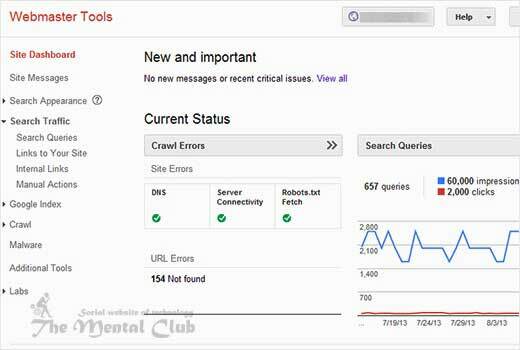 What is a Google Webmaster Tool? The Google webmaster tool is group of tools or process by Google, which brings such chances to publishers, through which they can determine that how will their site show in search engine. It will give you a report and information, through which you can know that how is looking search result several pages of your site. You will see how much click is going in several materials on your site and how is impression there. This type of information will help you in the old article development of your site, writing new articles and making several strategies. Through Google webmaster tool you will do what that is submitting XML file. Cancelling particular URL and giving details concept about your site to Google. Through this you will know that have any problem of Google or don’t have to index or scroll any particular part of your site. At first go to https://www.google.com/webmasters/tools/ and sign in with your Google account. After sign in, write your site’s URL and click on to add new site button. Then, go to next screen and from there you will be said to verify your site. For verifying you have to add in your site by collecting HTML Tag Meta tag which is given by Google. We will use second process. Now go to your blogger dashboard. Then clicking on Template > Edit HTML, set verification code after <body> tag which is given by Google. I gave a structure of verification code in the following. Another thing, with which Email blog you have opened the blog account, that email if you use in Google webmaster tool then there is no need for verification. That will be verified automatically. If it’s verified once, then you will need to submit an XML sitemap. Another post will be done about this in the next. And if you can make yourself then you will submit. Yes! In this way you can submit your site in webmaster tool very easily. How to verify your site in Google webmaster tool? To work with any site in Google webmaster tool, you have proof before your site as your own site. For that going to Google webmaster tool, when you will add any site. Then you have to verify really that is your site or not. Which site you want to add in Google webmaster tools, that site is yours or not, for examining that Google offers two process. In this process Google will give you one html code which you have to set in the html section of your site. Generally it is set in the head section. This is an easy way of site verification. Another easy way of site verification is uploading file through FTP in your site. In this process Google will give you a small file which you will upload through FTP to your site. Then, if Google found that by browsing the site, then the site will be verified. And you will get of using Google webmaster tool for the site of your client. Through one of these two process and verifying your site in Google webmaster tool, you will enjoy all advantages of the Google webmaster tool. In this same way you will verify your site in Bing Webmaster Tool. Note: If you work with blogger then there is no need for this site verification. In which Gmail account, you have opened free blog, with that account if you log in, Google webmaster then just give address to add free blog in your list directly by clicking in add property. Yes, that will be completed. There are some Tools for testing how your Site will show in Mobile. Google knows about you – do you know it? Use another search engine in Google chrome.